The Gene Therapy Unit focusses on the most commonly used gene therapy vectors: adenoviral, adeno-associated viral (AAV) and lentiviral vectors. Our goal in vector development programs is to develop safer, regulated and more efficient viral vectors. An understanding of disease at the molecular biology level is key to the way KCT operates and our developed viral vectors are tested in vitro and in vivo models of disease to obtain a clear proof of principle at the molecular biology level. 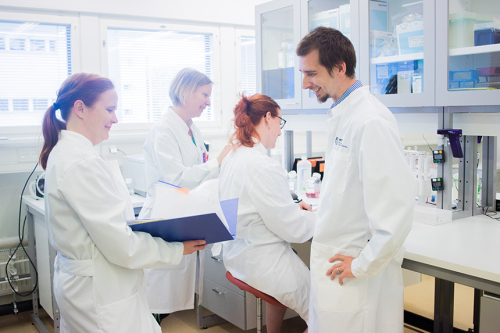 The research of the Cell Therapy Unit focuses on innovative cell therapies and ex vivo cell editing. Researchers are working on developing therapies to patients suffering from cancers, cardiovascular and autoimmune diseases. Early research on cell characterization includes traditional and ‘omics’ methodologies to support product development and the critical quality attributes definition relevant to the mode of action and safety. Therapeutic potential and modes of action are examined using in vitro methods and relevant animal models. 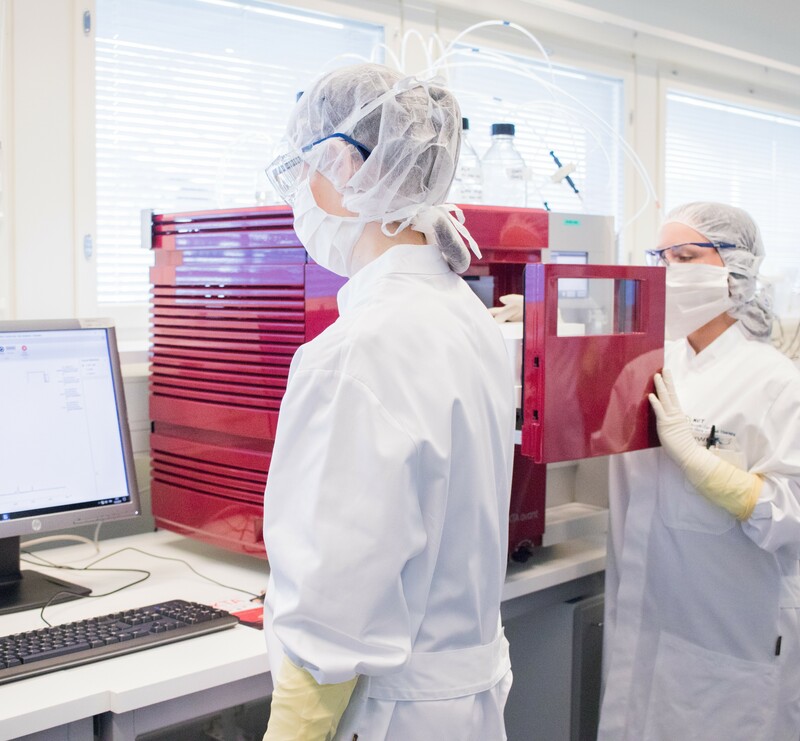 We take pride in our process development on finding the best solution for automated, closed processes that can ensure robust and reproducible product manufacturing. - Single-cell sorting in a BSL2 environment. Accurate and advanced analytics is an essential core capability in the ATMPs area. 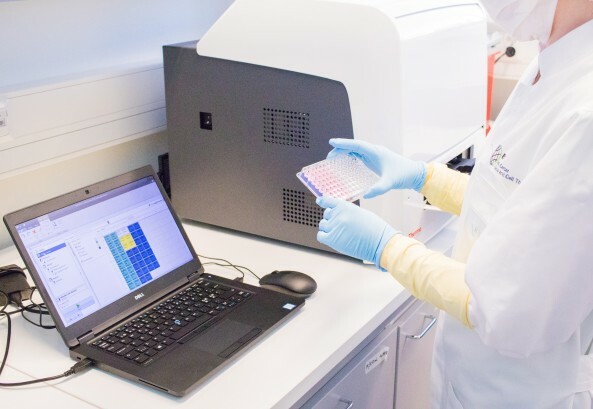 KCT‘s Analytical Core Unit provides ‘state of the art’ analytical capabilities to support daily routine research level analytics, to develop new assay approaches, to provide technical help and training to researchers and to track the development of analytical technologies. - Bioinformatics, large data analysis. Kekarainen T and Lesch HP. Welcome to the Kuopio Center for Gene and Cell Therapy. Health Europa Quarterly Issue 6. Aug 2018. Valkama AJ, Leinonen HM, Lipponen EM, Turkki V, Malinen J, Heikura T, Ylä-Herttuala S, Lesch HP. Belt H, Koponen JK, Kekarainen T, Puttonen KA, Mäkinen PI, Niskanen H, Oja J, Wirth G, Koistinaho J, Kaikkonen MU, Ylä-Herttuala S.
Comparison Study of Signalling Factors and Small Molecules. Front Cardiovasc Med. 2018 Mar 14;5:16. doi: 10.3389/fcvm.2018.00016. Turkki V, Lesch HP, Ryner M, Nilsson J. Viral vector particle integrity and purity analysis in early process development.